The new Nokian eNTYRE was designed specifically for North America to give the driver ultimate safety, driving comfort and performance in an environmentally friendly tire. Our development team created an All-Season tire that has excellent wet grip, a smooth and quiet ride, long tread life, great handling and good winter grip when compared to other premium All-Season tires. The Nokian eNTYRE, like its name denotes, has all the newest safety and green technologies combined in one tire making it the “entire” package for All-Season customers. The new Nokian Rotiiva AT (All Terrain) works effectively both on and off the road. It completes Nokian Tyres versatile SUV and 4x4 line-up. 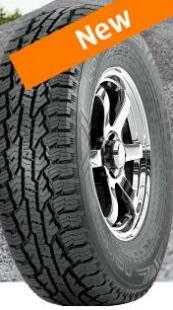 Rotiiva AT is excellent on asphalt or gravel, but also moves with ease in light off-road conditions. 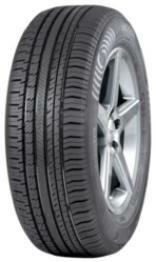 The sturdy structure and cut-resistant tread compound give the tire excellent durability as well. The comprehensive selection of sizes is aimed at light trucks, larger SUVs, and pick-ups. The aggressive tread pattern of the new product, and especially its wide, polished grooves maximize grip and handling in rapidly changing summer conditions. 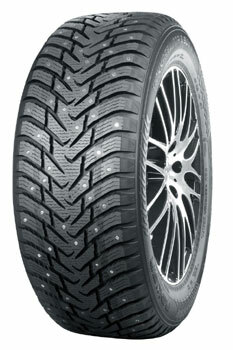 Thanks to a unique tread pattern, the tire also cleans easily and runs effortlessly in winter conditions. The new Nokian WR All-Weather tires offer a virtuoso combination of safety and carefree driving pleasure for every season. This advanced new-generation tire family is a reflection of Nokian Tyres' work at its best: WR G3 is designed for different vehicles and drivers, but for any weather. These environmentally friendly premium products feature nanotechnology, canola oil and the solid winter expertise of Nokian Tyres, which guarantee their reliable functionality in the typically varying weather conditions of North America. 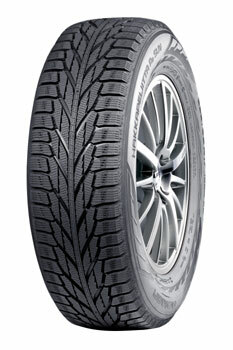 While the seasons may change, your choice of all-weather tires remains the same: Nokian WR G3. The new symmetric and directional tread pattern of the All-Weather Nokian WR G3 SUV with heavy siping, and the winter silica compound tailored for high-powered SUVs to ensure an exceptionally stable driving feel and relentless grip even at high speeds. 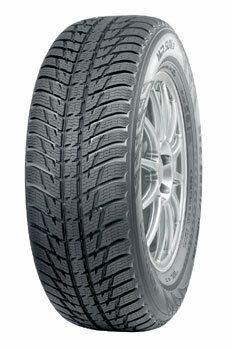 Nokian Hakkapeliitta R2, the non-studded winter tire, safely tackles even the most demanding winter conditions. The new design innovations from Nokian Tyres, the inventor of the world's first winter tire, has focused on maximizing ice grip on this "Nordic" winter tire. 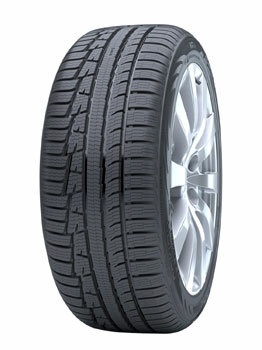 In addition, the R2 maintains its winter grip and precise handling properties throughout the life of the tire. Nokian Hakkapeliitta 8 SUV studded tire is a premium winter tire that uses completely new innovations to tame the extemes of Northern winters. The most modern stud technology in the tire industry, designed with 50% more studs than its predecessor whie still quieter and less damaging to the road, provides grip like never before on ice and snow. Also available in passenger tire.